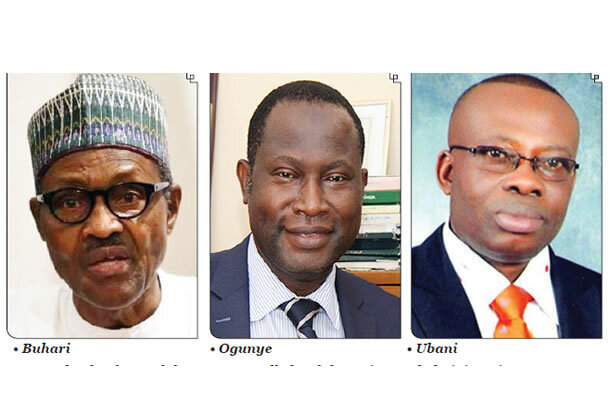 The road to 2019 took a controversial turn penultimate Saturday when the Federal Government placed a travel ban on a cross section of high-profile Nigerians. This came after the Federal High Court in Abuja, on October 11, validated the Presidential Executive Order 6 2018, which provides for the interim seizure of assets linked to ongoing criminal trials and investigations. President Muhammadu Buhari had, on July 5, issued the PEO, but two lawyers, Ikenga Ugochinyere and Keneth Udeze, instituted a suit before the court to challenge its constitutionality. Delivering judgment penultimate Thursday, Justice Ijeoma Ojukwu dismissed the lawyers’ suit for lacking in merit and affirmed that the President had the constitutional powers to issue the PEO as long as it did not encroach into the principles of separation of powers. Apparently emboldened by the ruling, the Federal Government put about 50 high-profile Nigerians on its watch list. The Senior Special Assistant to the President on Media and Publicity, Garba Shehu, said the prominent personalities had also been restrained from travelling outside the country, pending the determination of their cases in court. While reiterating the Buhari administration’s commitment to combating corruption, Shehu said Buhari had mandated the Attorney General of the Federation, Abubakar Malami (SAN), to implement the order in full force. The immediate past Vice-President of the Nigerian Bar Association, Mr Monday Ubani, in an interview with SUNDAY PUNCH, noted that before the executive would perform any act, particularly actions bordering on infringement of the right of any individual, it would have to approach the judiciary as a way of keeping its power under check. Ubani said, “That EO6 was saying it does not want a situation where those who are accused of crimes and whose properties are part of the proceeds of crime to dissipate those properties, pending the final determination. If you look at the Economic and Financial Crimes Commission Act, the EFCC has it. “That is, if people have been accused of any corrupt practice and they have properties that are locatable, what they do is attach those properties temporarily, pending the time they would conclude investigation and prosecution. But expectedly, the implementation of EO6 in the run-up to the 2019 elections received strong opposition from Nigerians across the board, especially political opponents of the President, who is seeking re-election as the candidate of the All Progressives Congress. Several critics described the executive order as a dictatorial usurpation of non-executive powers. The Peoples Democratic Party, which was at the forefront of the protests, called on the Chief Justice of Nigeria, Justice Walter Onnoghen, to protect the institution of the judiciary from the “unconstitutional” implementation of the EO6, adding that the EO6 and the travel ban were devised to directly interfere in judicial processes and stifle accused persons of resources, under the guise of speedy trials. The PDP National Publicity Secretary, Kola Ologbondiyan, described the government’s action as a precursor to fascism and a direct attempt by the President to suspend sections 6 (6)(b), 36 (5), (6)(d) and 37 of the 1999 constitution (as amended). The presidential candidate of the PDP, former Vice-President Atiku Abubakar, also said the travel ban harked back to “the dark days of dictatorship” under Buhari, who had ruled as a military head of state from December 1983 to August 1985. In the same vein, a former Minister of Aviation, Chief Femi Fani-Kayode, said he was not losing sleep over the travel ban. A PDP stalwart and former Minister of Interior, Mr. Abba Moro, also described the Executive Order 6 as taking the fight against corruption too far. Speaking in favour of the EO6, however, the British High Commissioner to Nigeria, Paul Arkwright, said the executive order was important for rooting out corruption in the country and that it would assist in the fight against maladministration. But Ubani told SUNDAY PUNCH that the controversy arising from the executive order was valid. “That is why we must raise our voices and say, ‘No, the President must not be allowed to have such absolute power to begin to exercise executive power, legislative power and judicial power.’ If he does that, then we will no longer practise democracy. We will then be practising what we call a military dictatorship and that cannot be allowed under a democracy,” he added. Ozekhome said, “It violently erodes hallowed fundamental rights that are inalienable and God-given. It seeks to strike terror and fear in the minds of Nigerians, especially the opposition and critical voices. “It usurps the functions of a court of law and the National Assembly that has already promulgated the EFCC, the Independent Corrupt Practices and Other Related Offences Commission and Money Laundering Acts, all of which allow for interim forfeiture and attachment of citizens’ money and properties, but with an order of a court of law. Similarly, Robert Clarke (SAN), said due process dictated that anytime the Federal Government must implement Order 6, whether or not it had the passports of its targets, it was better for the attorney general to make a list, go to court and get an interim order. The Executive Order 6 is viewed by critics as politically motivated. However, a senior lawyer, Emeka Ngige (SAN), described the timing of the court judgment upholding the constitutionality of the EO6 as coincidence. Ngige said, “Whatever they call it, the executive order makes a provision for recourse to the court if anybody says his rights have been violated by the provisions of that order. Having subjected itself to the jurisdiction of the court for the determination of any acts of infringement of anybody’s fundamental rights, the executive order is okay. “It merely says that anybody, whose rights had been violated in the execution of this matter, can approach the court. The order also says it is being made in accordance with the constitution guaranteeing fair hearing and other rights. “I would think that it is coincidental that it is coming now because when it was released, there was a challenge to its constitutionality. And as soon as the court ruled that it was constitutional and was within the power of the attorney general to make, then they released the list of prohibited persons. A Lagos-based lawyer, Jiti Ogunye, agreed with Ngige’s position. Ogunye noted that the executive branch of government ultimately had responsibility for investigation of corrupt practices in the public life of the country through the anti-corruption agencies, which he said formed part of the executive. He said, “While doing so, however, the executive branch of government must comply with the rule of law and ensure that entrenched fundamental human rights of the citizens at large and the civil liberties of those who may be undergoing investigation and prosecution are not violated because you can’t fight corruption outside the rule of law in a democracy.